Every restaurateur is aware that the dining experience isn't just about eating. It’s about sharing a meal and enjoying the company of others. But when your restaurant space has poor acoustics, that customer experience has a tendency to go sour. 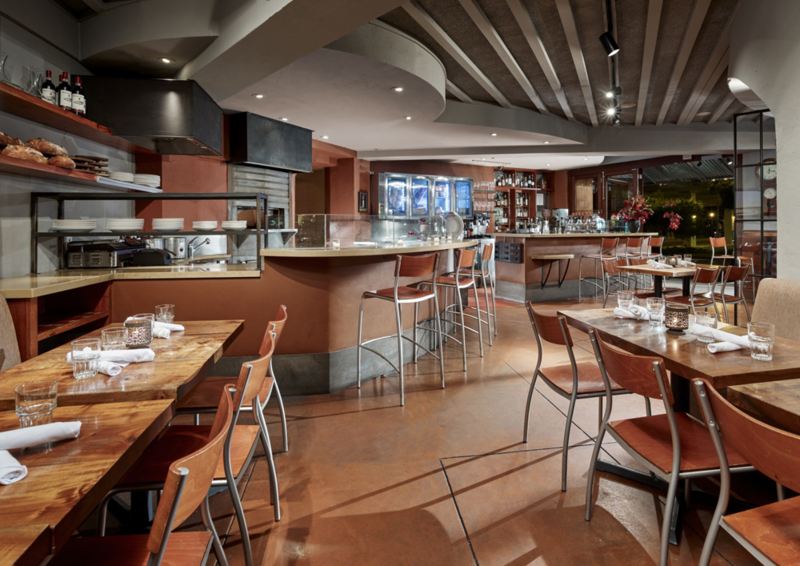 Controlling acoustics in a restaurant isn't a luxury, it’s a necessity. One of the biggest hurdles restaurant owners have to overcome is trying to incorporate soundproofing into an already finished, well-designed space. Thankfully, there is an easy answer to this type of challenge. There are a variety of acoustic solutions for restaurants that can be customized to fit well into whatever interior design is currently present. 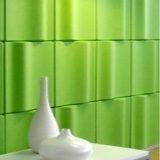 One of the most effective ways of reducing noise pollution is to add in acoustic paneling to the walls. 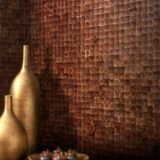 There are many paneling options that can be used to add to the aesthetic design of a space. Featured above is an EchoPanel Print in a vivid green shade that would surely lighten up any restaurant wall. To compliment any existing design, EchoPanel Print has a total of 11 different patterns with a wide selection of colors per pattern. Depending on your needs, this paneling is available in either 7mm or 12mm thickness with each panel being roughly 4' x 8' (12mm panel slightly smaller). As an additional benefit, these panels have a Class C fire rating and are easily mounted directly onto existing walls with either mechanical fasteners or construction adhesive. Tip: For best acoustic results, you can leave an air gap behind the EchoPanel using wood, standoffs, or by using strips of EchoPanel as furring strips. Installing flat acoustic paneling on ceilings is a simple and often-used acoustic solution, but a more creative and aesthetically appealing option would be to use three-dimensional soundproofing in the form of baffles. Kirei’s Simple Baffle helps diffuse sound and also adds visual interest to an otherwise plain ceiling. 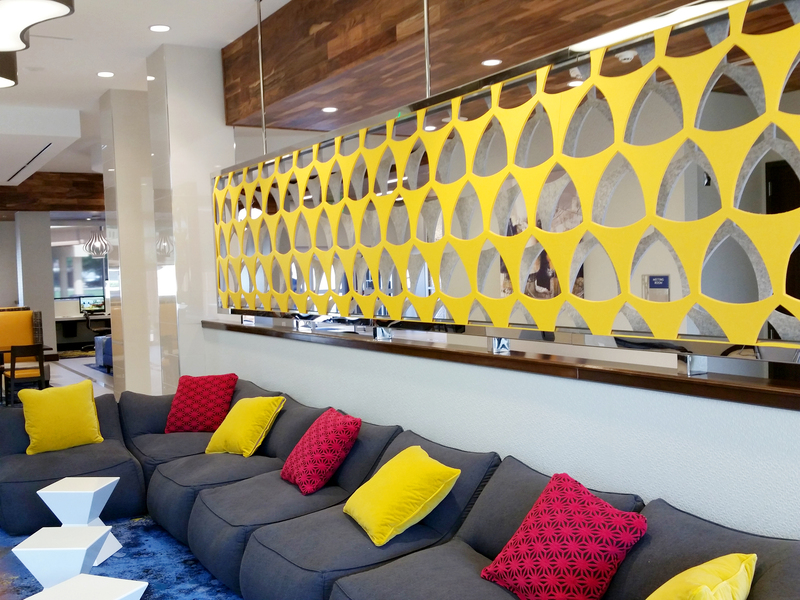 If the featured rectangular shape isn't quite what you want, Kirei also offers custom-shaped baffles, and there are 19 different colors to choose from to help compliment any design. As a bonus, the Simple Baffle system is highly versatile and can be easily installed on existing ceilings. There are two installation options - suspension from or direct mounting to a ceiling. 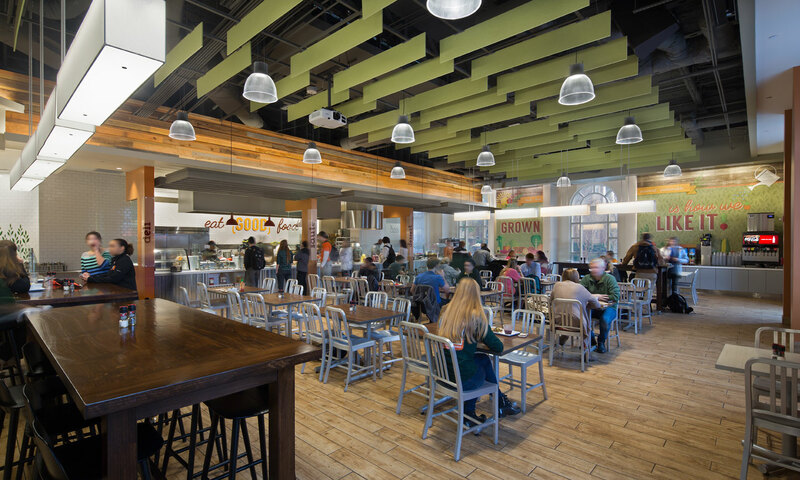 Although striking in visual design, a vaulted or high ceiling can often bring noise challenges for any restaurant owner. A great option for these extra-high ceilings is to add suspended acoustic solutions. 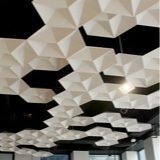 Kirei’s EchoStar solution looks like hanging art, but it’s also highly effective at reducing noise reverberation. The diamond-shaped facets help absorb and diffuse sounds. Each "star" weighs only 8 lbs, is installed via cables, and is available in either Class C or Class A fire ratings. There is some variance in the NRC rating, as it is largely dependent on the height of the ceiling, size of the room, and the suspension of the EchoStar, but a chat with Kirei will help you come to the right decision for the space. EchoStar can be used individually or installed together in a pattern for an impressive ceiling finish. 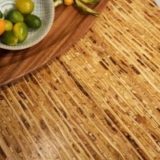 This solution is available in 5 different neutral shades to match whatever interior style your restaurant currently has. Soundproofing isn't just for walls but can also work with existing furnishings within your restaurant. The privacy and comfort of a booth makes it a popular seating choice for any restaurant. 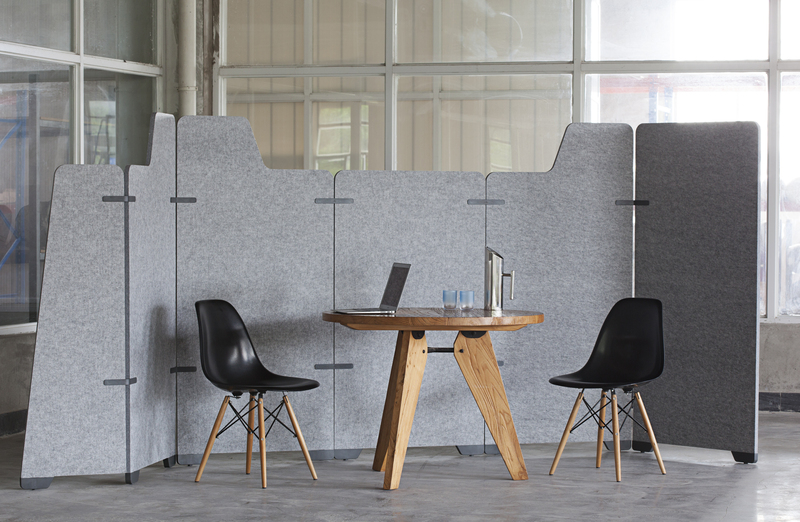 But consider the idea of standalone sound panel partitions to create a faux booth effect without the bulky furniture. Featured above is the EchoPanel Wrap Partition. Highly popular as an office partition, the EchoPanel Wrap is also perfectly suited for restaurants and cafes as well. These partitions are completely adaptable to any settings and can be configured in a number of different ways. Better yet, these flexible design products are easy to move and reposition, allowing you to change up the space in your restaurant at any time. Dividing a restaurant's interior into distinct areas can help create a sense of perceived privacy for patrons and can also help to create a structured space. Having dividers between booths, dining areas, and bar seatings, or a between the dining room and waiting area are all opportunities to add sound barriers. To complement an already designed space, you can have custom sound barriers made to replace existing glass, metal, or wood barriers like this EchoPanel pictured above. If you opt for a solid panel, keep in mind that Kirei offers custom printing as well. If you want to reduce the noise in your business and improve your patron's overall experience, incorporating these ideas can be easy solutions and will help you achieve your noise management goals. 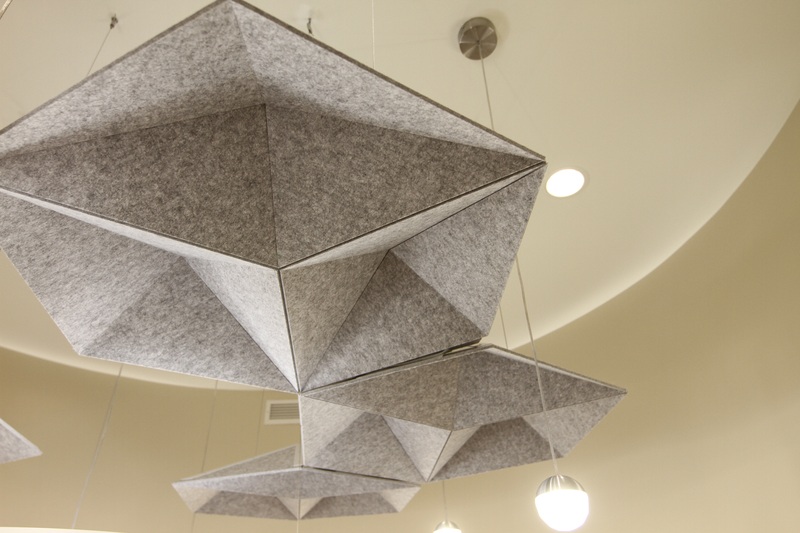 Designers have an extensive menu of acoustic solutions to help control noise in their interior design projects. The key is understanding which solutions are most effective for the needs of your space.